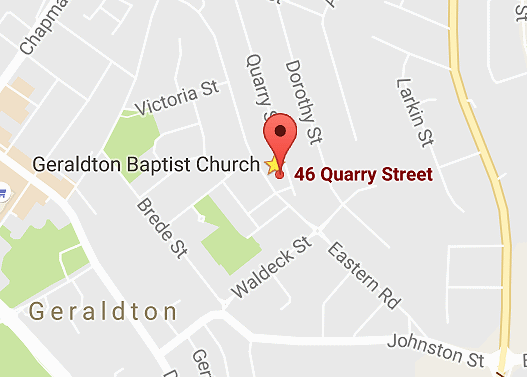 Our church building is located on the corner of Eastern Road and Quarry Street (46 Quarry Street) Geraldton. The main entrance is in Quarry Street. We have a car park beside the church accessible from both Quarry Street and Eastern Road. We ask you reverse park into the spaces. More parking is available in Quarry Street. Two parking spaces are available in front of the main entrance for people with disabilities.